MCG BioComposites, a company based out of Cedar Rapids, Iowa, has produced a biocomposite plant marker since 2009. Early in production, they switched to using one of Green Dot’s Terratek composites. 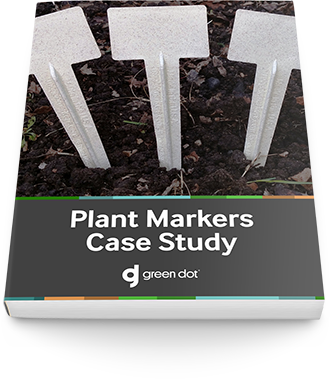 Recently, MCG started the production of a biodegradable plant marker. They worked with Green Dot to develop a formula that would be biodegradable without sacrificing quality.